The 5 in 1 system from BigChange incorporates mobile apps running on rugged tablets and vehicle tracking, live connected to back office software for job scheduling, CRM, invoicing and management reporting. Entirely cloud-based and seamlessly integrated, the solution from BigChange has replaced three separate systems and added new levels of automation for the business. 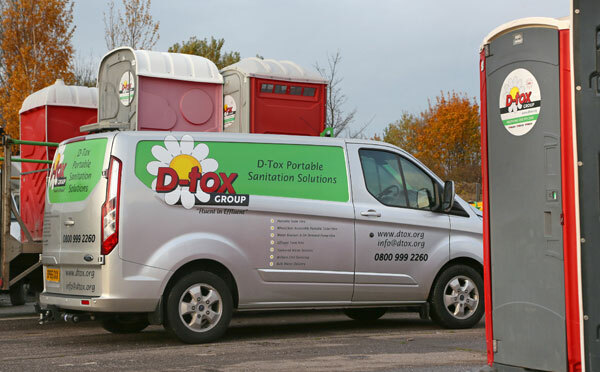 Established for 25 years, D-tox provides portable toilet and welfare facility products and services, with tankered liquid waste collection and non-potable water delivery. Servicing construction sites, outdoor festivals, shows and events, the West Midlands based company operates a fleet of effluent tankers and smaller vehicles for servicing, delivering and collecting portable units. BigChange integrates with Inspire, the hire management system used for invoicing equipment hire jobs. However BigChange handles the complete business process with call details entered into the system for job scheduling, routing with optimised allocation to vehicles and drivers. 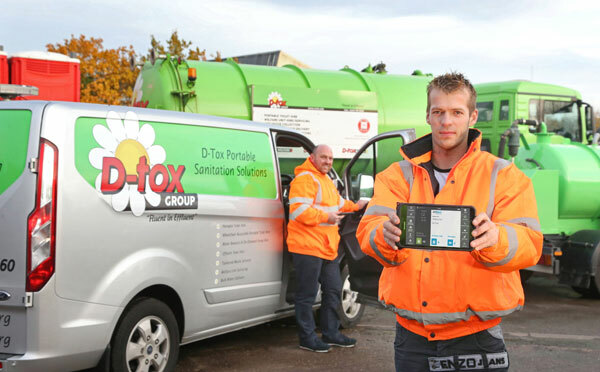 D-Tox drivers receive their daily jobs on their Samsung tablets running JobWatch; the BigChange mobile worker solution. Providing Google Maps navigation to site, electronic job sheets and time sheets, a JobWatch workflow takes the driver through steps that include risk assessment, photo capture and POD with customer signature sign off. Article précédentBigChange Transforms Utopia Sales, Service and Delivery platformArticle suivantCEO’s Blog – Are you ignoring this loyal and committed talent pool?